Jonesy, FP, Cas, and Jessica Watson on the right. Woohoo! I had the pleasure of going to the Sydney Boat Show official breakfast this morning, to formally open up the show. This was a fun event with a gaggle of adventurers (Jessica Watson, Cas & Jonesy, Don McIntyre, David de Rothschild etc) and importantly, a decent feed including my favourite, sausages – haha! 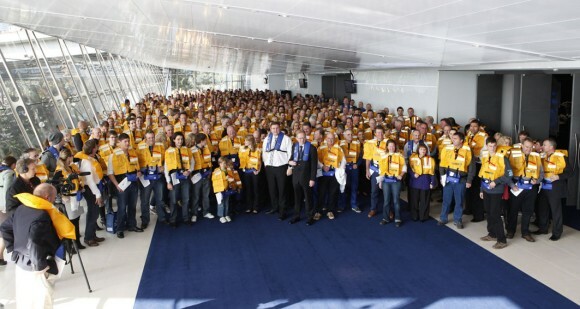 World Record Attempt - 415 simultaneous lifejacket inflations! 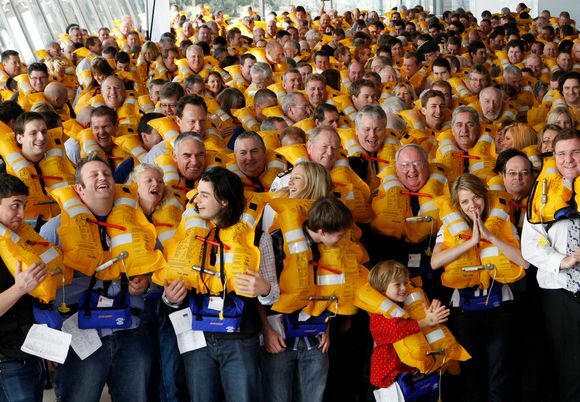 The boating industry today (30 July 2010) helped NSW Maritime set a provisional world record of 415 lifejackets inflated at once in the one location as part of the Sydney International Boat Show, putting the spotlight on safety. At around 9.35am, Ports and Waterways Minister Paul McLeay and teenage round-the-world sailor Jessica Watson led the countdown for industry guests attending the Sydney International Boat Show official opening function. The event, part of the Wear It! 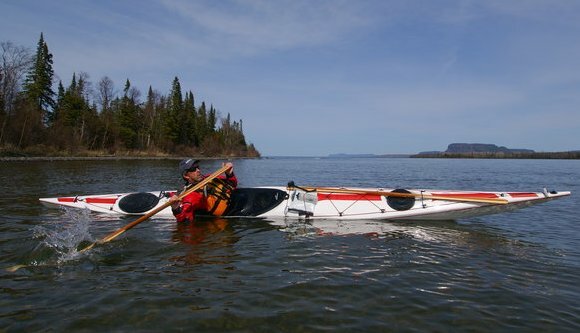 lifejacket awareness campaign, had the support of the National Safe Boating Council of North America which introduced the Ready Set Inflate! project this year. In North America on 20 May, the international record for lifejackets inflated in one location was set by 86 people in Columbus, Ohio. Today’s effort in Sydney resulted in 415 inflatable lifejackets being activated to set a new record which is being submitted to the National Safe Boating Council for ratification. The event highlighted important safety messages about lifejackets as compulsory safety equipment on vessels, and the need to be familiar with how to use them before there’s an emergency. 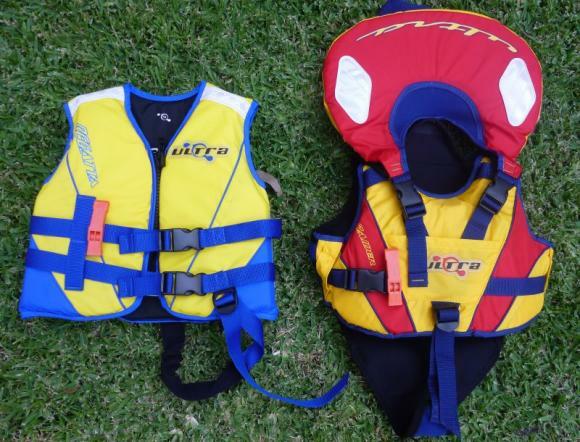 It also put the spotlight on the new rules being introduced on 1 November 2010 which will require children under 12 years and boaters in heightened risk situations to wear lifejackets. The colour is nice. It really highlights your cheekbones!